Concrete Revolution, LLC is your best choice for sleek, professional-grade concrete finishing in the New Iberia & Lafayette, Louisiana area. Our concrete contractor can install a variety of decorative concrete solutions for your new construction or renovation project. Ask us about sealed concrete to protect your surfaces and maintain a glossy finish. To schedule an appointment with a decorative concrete contractor serving New Iberia & Lafayette, Louisiana area, call Concrete Revolution today. 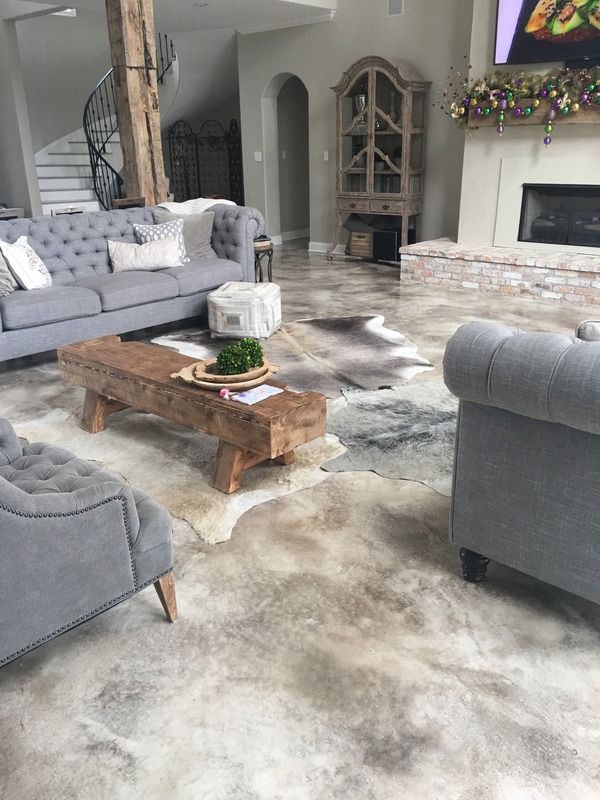 Call Concrete Revolution at 337-256-3486 today to schedule the installation of liquid marble flooring or wood plank flooring in the New Iberia, LA area. Is the boring gray slab around your pool deck diminishing the appeal of your outdoor oasis? If so, it’s time to call Concrete Revolution to get a stunning concrete pool deck in the New Iberia & Lafayette, Louisiana area. Our concrete contractor can add an attractive stain that will enhance the appearance of your pool area. Give your pool a high-end look without the high-dollar price tag with help from Concrete Revolution. To learn about other ways we can help you upgrade your concrete pool deck, call 337-256-3486 today. 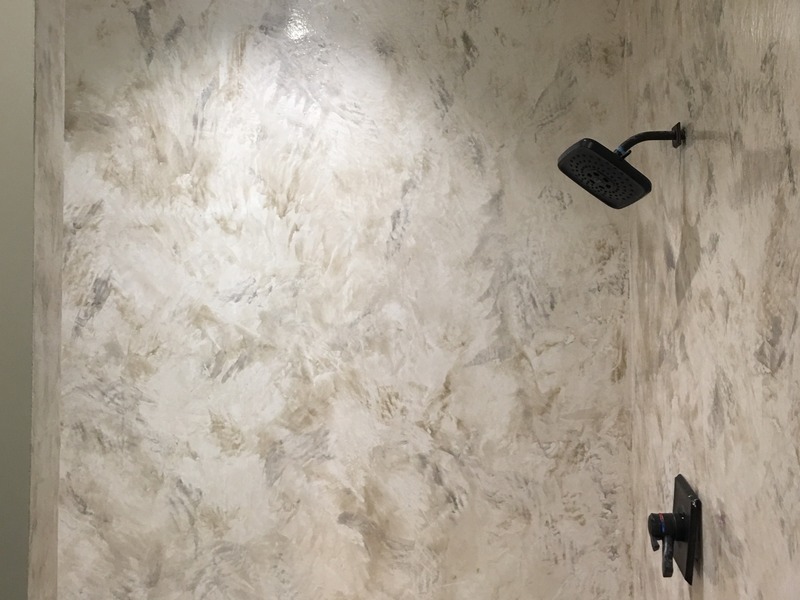 Beautiful, custom showers with metallic coloring! Copyright © 2019 Concrete Revolution, LLC, all rights reserved.